Next exhibition of people from different environments representing different styles but with common aim – promoting street art. Artists: Designinjah, Inva, Mofo, Nade, Nastwo, Ser, Simoni, Wake. Location: Stigma Lab – Exhibition Streetart Laboratory & Workshop (Andrea Metaxa 4, Exarcheia). Visiting hours: 12:00 – 21:00. Entrance: FREE. Athens Photo Festival 2011 is an international exhibition of unique photos and video projects. Apart from it the program consists of various events such as Athens Photo Inspiration 2011, Photography Nights, Portfolio reviews, Photography as Photography, masterclasses, bookshop, educational programs for children, volunteer’s programs and special tours.. Location: Technopolis (Peiraios 100, Gazi). Visiting hours: Mon-Fri: 17:00-22:00, Sat-Sun: 12:00-22:00. More details @ www.photofestival.hcp.gr. The Ethnographic Film Festival again in Athens! The audience will have chance to participate in three different thematically units. Through the unit of the Students’ Films guests will be able to make their acquaintance with projects of the students of Anthropology and other social sciences, who present these films as their dissertation. Additionally, in Panorama they would watch recent productions of ethnographic documentaries and works of film-makers who after their graduation are going on by exploring the connection between image and social research. The cinematographers who participate in this year’s festival come from UK, Sweden, Portugal, Romania, Greece and they will make us see, from a different point of view, countries like Cameroon, Philippines, Cuba, Russia as well as unknown neighbourhoods of Athens and Bucharest. Location: Nixon Cinema (Agisilaou 61b, Kerameikos). Screenings start @ 18:00. Entrance: FREE. The main aim of the project is to spread the art of dance not only in its classic (show) form but also in contemporary forms of expression such as videodance. Location: Booze Kooperativa (Kolokotronis 57, Plaka). Tickets: 6€. Jean-Christophe Le Saoût aka Wax Tailor is the French trip hop / hip hop producer. He started in 2004 with two EP‘s (Lost The Way and Que Sera / Where My Heart’s At). The first album Tales of the Forgotten Melodies was released in 2005, mixing hip-hop, downtempo, trip-hop with samples extracted from movies. It became one of the best selling electronic releases of the year. The second album Hope & Sorrow released in 2007 was nominated for the French “Victoires de la Musique” and US Indie music award. Third album “In The Mood For Life” was released in 2009. Wax Tailor is a winner of the 7th annual Independent Music Awards Vox Pop vote for best Dance/Electronica album “Hope & Sorrow”. Location: Gagarin 205 (Liossion 205). Doors open: 21:30. Tickets: 15-25€. Battle of the best is a breakdance and street dance competition. Dancers from all balkan countries will be fighting solo or in groups for many valuable prizes. The most important is battle 1 vs 1, as the winner will be representing Greece and all Balkans generally in global competition IBE in Netherlands with all expenses paid. For the first time during festival will be also Streetdance Theatre Vol. 1, where the top teams / dancers will present their own choreography without any rules and restrictions. Location: Kentro Technon ACS (Garypou 53, Chalandri). Start: 18:30. Entrance: 15€. After Party: Roots Bar (Konstantioupoleos & Keleou 1, Gazi). Start: 23:30. Entrance: FREE. 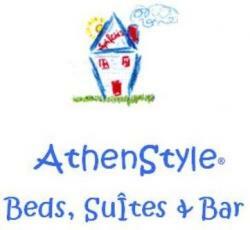 Halloween Party @ AthenStyle Rooftop Bar! ARE YOU READY??? The exhibition theme treats the evolution of the European art during the past fifty years, throughout the presentation of 40 selected artworks from the European Investment Bank collection that reflects the diversity of the European artistic production. Opening hours: 8:00 – 20:00. Entrance: 4 / 2 €. (Vas. Sofias – Megaro Mousiskis). The Stigma lab is an original artistic collection in the area of Exarchia. This month they’ve opened their doors to the WrongFace Crew (Wfc) who’ve been decorating the streets since 1996. Complexity meets simplicity with a blend of straight lines and vivid patterns through many mediums. Opening hours: 12:00 – 21:00. Entrance: FREE. TAF in collaboration with the Embassy of Spain, the Cervantes Institute and curator Pablo Berzal, presents the exhibition The fish and the guest. 9 artists from Granada. The nine participating artists come from the School of Fine Arts in Granada and represent new trends in contemporary Spanish art. According to the curator Pablo Berthal: “the exhibition is structured in 9 rooms (site specific) in each of which every artist will propose his or her own idiom, without a particular theme having been imposed. TAF continues its concerted effort to promote young artists who are either still studying or have recently graduated, regardless of their origin. Simultaneously, this show is added to a series of exhibitions that have taken place in TAF and introduce international artists of all ages to the Athenian art audience. Entrance: FREE. Until 6th of November @ TAF – The Art Foundation (Normanou 5, Monastiraki). The 3rd Athens Biennale 2011 is a double project in the form of an international exhibition and a feature film. MONODROME revolves around an unlikely encounter: The Little Prince meets Walter Benjamin. This intentionally peculiar coupling of the two figures acts as the ground onto which the ongoing worldwide sociopolitical and financial upheaval will be examined, through a narrative that will address humanity in a universal and poetic manner. Athens, and Greece for that matter, has been the epicenter of a social and economical earthquake whose consequences are becoming stronger: How could one reflect on this situation which seems to exhibit characteristics that make it global rather than national or local in nature? Is what has been rather facilely referred to as the “Greek example” a significant turning point in history..? More details @ www.athensbiennial.com. Until 11th of December @ Theatre Square / Diplareios School / Eleftherias Park / ARTS CENTRE / El. Venizelos Museum. Riots, Strikes and in Recession.. is it Safe to Travel to Athens? So you’ve probably been watching the recent news on Greece and let’s face it, it doesn’t look good, but is it really that bad? In my opinion, speaking as a foreigner, honestly, no. I feel at this point I should state that I’m from Northern Ireland. To some the name of my country conjures up images of ghetto warfare, however, much like Athens, this isn’t really the case. The images on your screens are of a troubled city, which there is no doubt about. However they project an image of city unable to function when the transport system comes to a halt. Protests getting out of control with civilians hurling stones while police retaliate with tear gas. Even these words paint a worrying picture, though this news will come as nothing new to the Greeks. These protests and strikes have been happening for years and the Athenians are very well versed in being able to deal with the effects. Currently the economic spotlight is on Greece and it seems from the concerned calls from friends and family that the media are making it out to be some kind of war zone. Which of course it isn’t. So what happens if you’re unlucky enough to be travelling in Athens on a day there’s strikes..
No public transport? You can just jump in one of the hundreds of taxis, we also organise taxi shares on days of strikes so the cost is reduced. So what happens when there’s no public transport and no taxis? To be honest, you have to be really unlucky for that to happen, but even in this case you can just ask around and a friend, local or even some taxi drivers (who will take you in their private cars) will be more than happy to offer a ride. The Athenians are generally pretty helpful when it comes to giving a lift to the airport or ferry port, for a small fee of course! So you can get to the airport but not really much point if the plane is staying grounded. Yes, this has happened in the past two months but only once have all the planes actually stopped for 24 hours. On the other couple of occasions some flights have been delayed by a few hours and this isn’t anything out of the ordinary from my perspective, though maybe I’m just unlucky. Then there comes the question about the riots, what’s the likelihood of getting caught up in the stone throwing tear-gas spraying war? Well if you’re the type of person who goes looking for cheap thrills then it’s probably pretty easy. Otherwise, you’re not even going to realise it’s happening. All the protests are concentrated at Syntagma Square directly opposite the parliament building and when protests are on the area is blocked off by police so, unless you really want to get a closer look, you’re not in any danger. I’ve been here for nearly three months now and although I’ve witnessed lively protests I have yet to be caught choking on tear-gas.